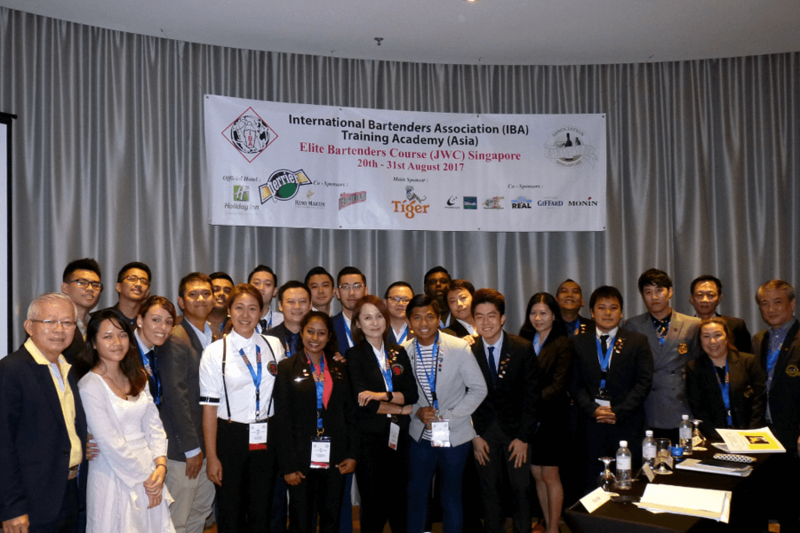 Pattharaporn Bunjongmai, Hospitality & Tourism degree student at TMC Academy, was given the opportunity to attend the Elite Bartenders course, organised by the International Bartenders Association (IBA) Academy. 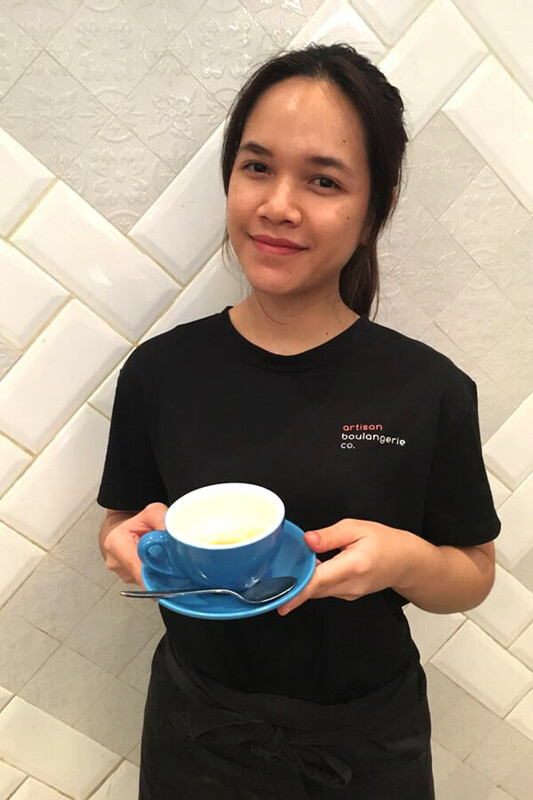 She shares her valuable experience with us in this article. 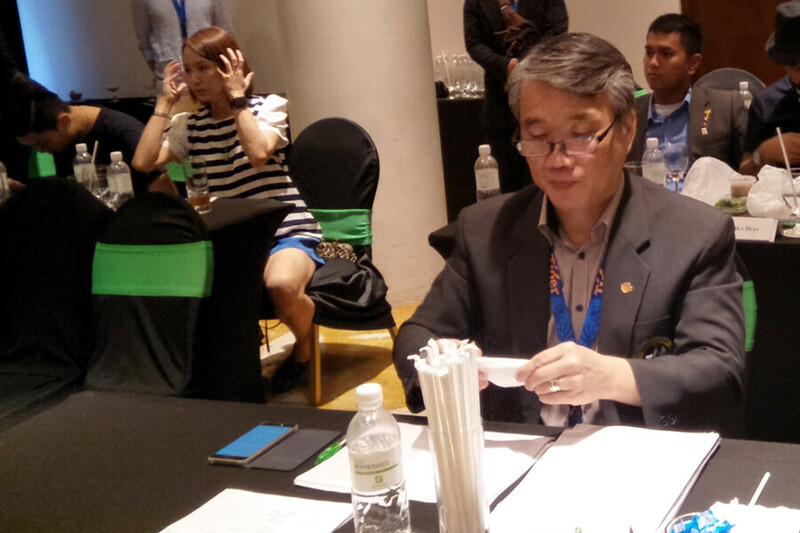 I was given an opportunity by Mr Pinaki, TMC Academy Lecturer and Dean at School of Tourism, Hospitality & Culinary Arts, and Mr Chan, Honorary Secretary of ABSS Youth-Wing, to attend and be an observer for the 2017 JWC Elite Bartenders course. 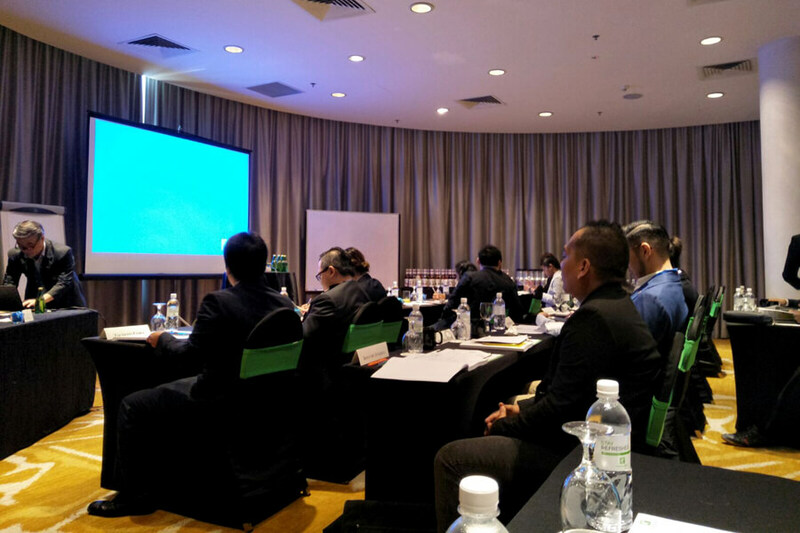 The 10 days’ course that I was exposed to covered subjects such as: Bar management, Elements of Costs, Countries & their Drinking Trend, differentiation between Beer, Spirits and Liqueurs, Wine-sensory & evaluation. 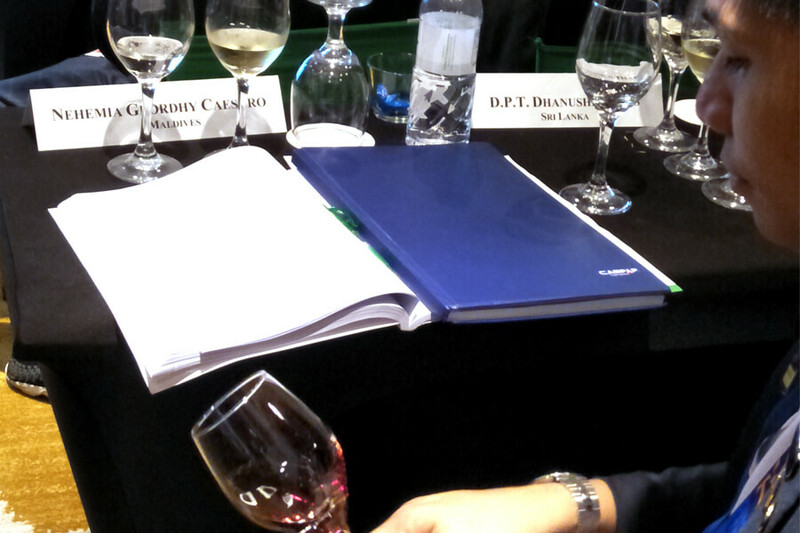 My favourite subject for this course is wine-sensory. Participants use perception in the domain of vision, smell, taste and touch, to discern the different characteristics between wines. They also went through about the different factors and processes that affect and provide complexity to wines. This course provides not only theory but also hands on experiences. 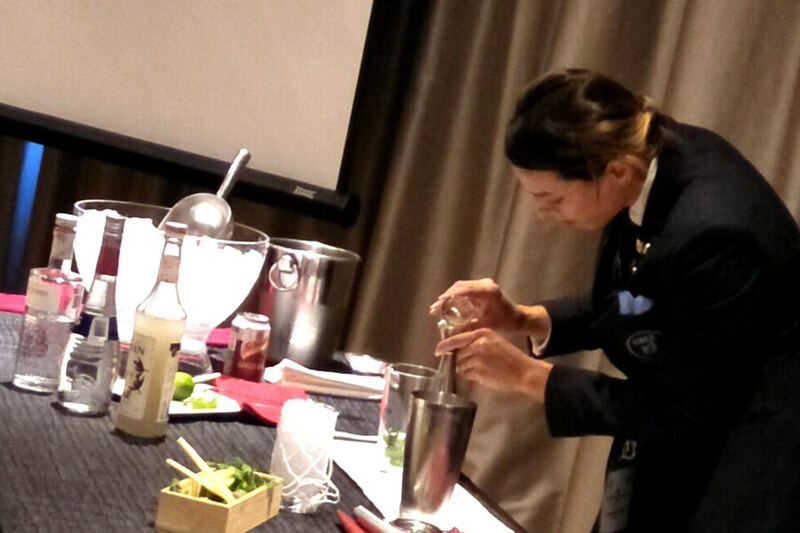 By the end of each day, each participant from the groups will need to use their experiences to come up with an original cocktail for presentation. Role play and assignments are used to provide further understanding and perception of the different subjects taught in each days. As part of the course, field trips were arranged to famous places such as the Tiger Beer Brewery and Marina Bay Sands, allowing the participants to have a grasp and understanding of the local and culture of Singapore bar. The Tiger Brewery Tour allows participants to get a hand on tapping a perfect pint of beers and to learn about its history and an up-close view of the brewing process. A good cocktail structure includes; spirit as a base, modifier, mixes and garnish. 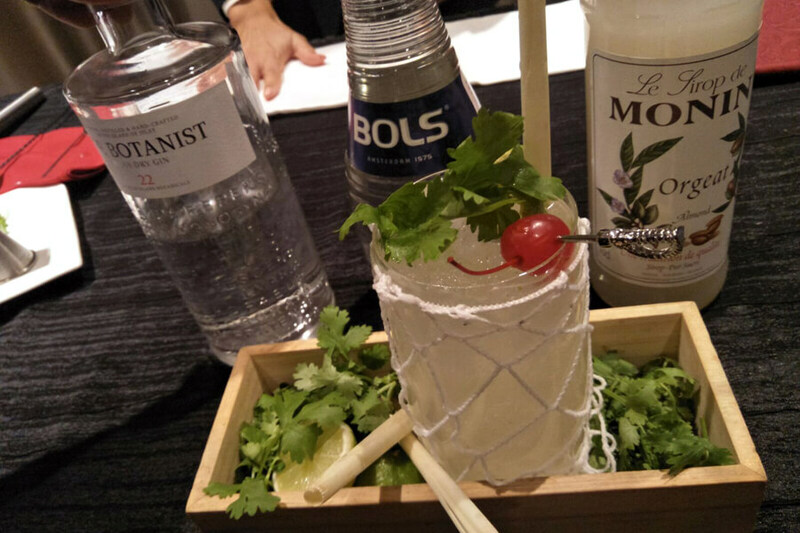 And with the rise of craft cocktails, company such as Monin and Britvic-Teissire were invited to give a talk about their products, delivering more insight into the different mixer or modifier that is available in the market. Topics such as “Bar Management” and “Elements of Costs” can be applied to daily work operation. It is important to know the standard and management of the business as these have a direct impact on the success of the company. Learning about the element of costs can serve to help change a company’s profit ratio and overall. 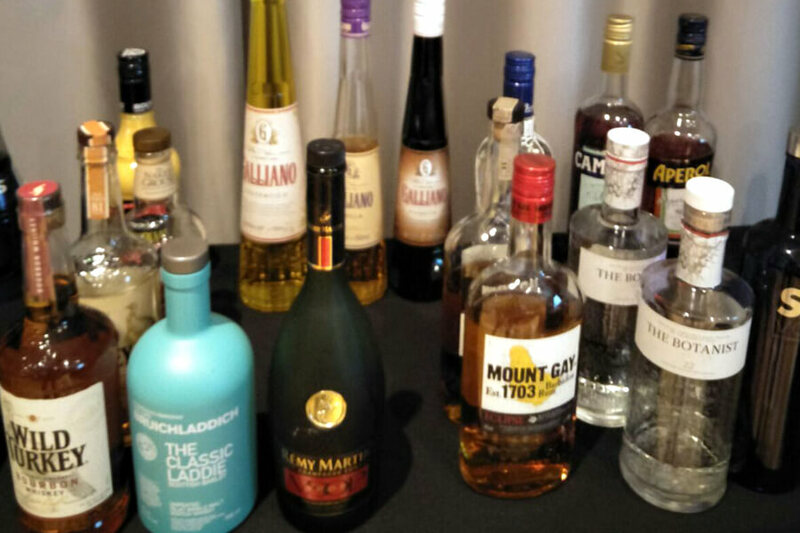 By the end of the course, participants are expected to know all the basic 50 types of liquors and understand the international skills standard. They will be equipped with the working knowledge, the development of international market and its concepts, the place of production and quality factors of wines, spirits and liqueurs. JWC was introduced to me by Mr. Pinaki, TMC Academy Lecturer and Dean at School of Tourism, Hospitality and Culinary Arts. 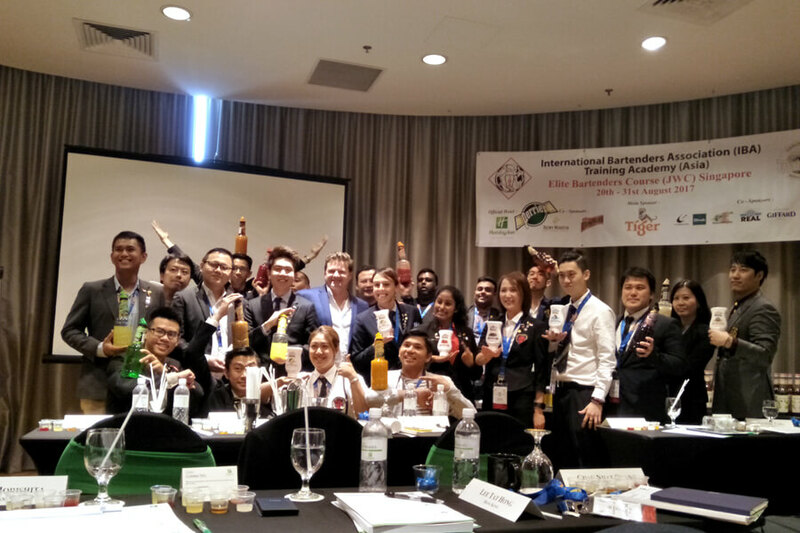 Brief detail about the course was provided by Mr. David Chan, Honorary Secretary of Association of Bartender and Sommelier Singapore (ABSS) Youth-Wing. The course has provided me with knowledge that was outside of the classroom, providing insight and awareness of the opportunities that are available in the hospitality industry. The exchange of perspective and the people I have been exposed to, has inspired me to strive further to develop myself. It has opened my mind to the development of new resources and the important of knowledge and research. The course has given me a real-world context that inspired me to acquire more skills and personal development. The course has provided me with plenty of networking opportunities. Hospitality is a fast and growing industry that offers many different career opportunities. Forming bonds with the participants and the guests that were invited to share their knowledge and experiences, may prove to be invaluable in the future, as it serves me with an opportunity to step up in my chosen field. Our Hospitality & Tourism students participate in many external industry events. Read about their experience here. Interested to pursue a Hospitality & Tourism Degree, awarded by the University of Northampton, UK? Gain final year entry if you are a TMC Higher Diploma Hospitality & Tourism student or hold a relevant Polytechnic Diploma / Private Education Higher Diploma!